You are here: » Home » Shopping Tour » Mercado de Sonora, The Witchcraft Market in Mexico! Mercado de Sonora, The Witchcraft Market in Mexico! Did you know that Mexico is also inhabited by witches? If you do not believe, you can come to the Mercado de Sonora are a market and meeting place for witches in this country! The skull, voodoo, bones, and all the magic equipment, which are sold by vendors in this market. 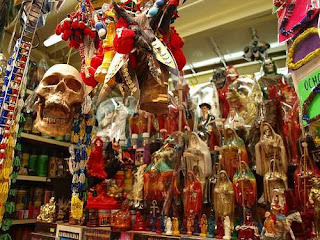 Yeah, Sonora Witchcraft Market in Mexico is a specialized market that can make travelers shudder. Every day the market is catered for by the witches in Mexico. Sonora market is located on Avenida Fray Servando Teresa, Mexico. Most people here have traditional beliefs and modern Brujos, wrote Haunted America Tours is quoted by TravelOc. For traditional Brujos group were more likely to have skills like witchcraft. Therefore, a lot of visitors who come to this class magicians to things are changing the way one's mind to obey other people who want it, as her former lover back, make obedient one, and many others. Meanwhile, modern Brujos more inclined towards spirituality. Those you meet in this strange shopping center median is the original witch. They are also often called Bruja. Bruja is a word of Spanish, which means witch. In fact, in Spain and the United States European descent witch regarded as fiction. Instead, brujos from Central America or northern South America, witch is someone who is very respected. Creepy! That assumption tourists who come to this market. Despite the spooky, the aura of this market can still invite the attention of tourists to come. Mysterious potions, herbs, incense, unique candles, statues of the demon of death, and voodo dolls are displayed in each store are not unusual here. Nuance dreary with low lighting also adds to the cold atmosphere in this market. 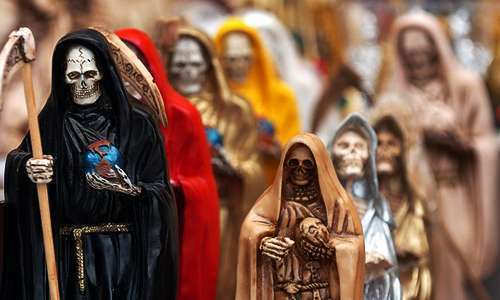 Curious to feel directly the mystical aura that is in Sonora Witchcraft Market? You can come directly to the market which is open every day. 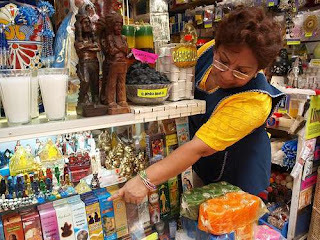 Besides wizards and crowded by tourists who want to shop, Sonora Market are also visited by many pilgrims from Mexico. Almost all travelers coming to this market, to predict the future and ask for fluency in work, marriage, and wealth. 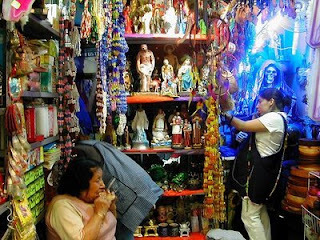 The Sonora Market Bruja healing practiced in strange diseases, forecasts, selling amulets, all the way around the market. In addition to walk around to see market atmosphere, you can also shop while trying to forecast life. Dare to try to meet directly with the witches in this country? You'll find a lot of experience and knowledge about the witches in Mercado de Sonora. Article : Mercado de Sonora, The Witchcraft Market in Mexico! 0 Respones to "Mercado de Sonora, The Witchcraft Market in Mexico!"